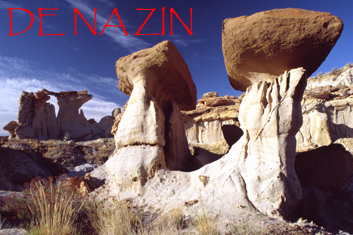 The San Juan Basin Badlands with their endless hoo doo gardens and petrified forests are a 100% New Mexico phenomenon. Our planet has no other places like these in such abundance. After 47 countries worth of outdoor adventures and photography including trekking in Nepal, Kashmir, Thailand, New Zealand, Tasmania, Greenland , Iceland, Peru and Costa Rica, and hiking and climbing in Canada, Mexico, Ecuador, Scotland, Norway, Switzerland, Japan, Bali, Cook Islands, Kenya, Australia’s Red Center, Mongolia’s Gobi desert, the Baja, and all over the American west including Hawaii and Alaska, I don’t say this lightly. Besides the dramatic rock forms, interesting geology and earth history to ponder, there’s the sheer fun of cross country hiking through these gigantic mazes. They resemble a combination amusement park and obstacle course. You’re traveling through a Georgia O’Keefe painting or a Dr. Seuss book or some sci-fi movie set always finding something new and strange. 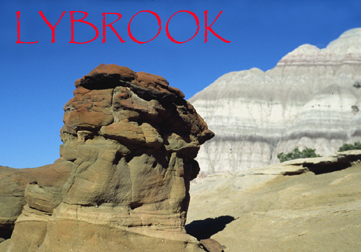 The constantly changing terrain requires route finding, scrambling and climbing to reach exceptional formations. THE LINKS BELOW ACCESS DIVERSE INFORMATION TO HELP YOU LEARN ABOUT, EXPLORE AND ENJOY THE 9 BADLANDS FEATURED ON THIS SITE. 1 BADLANDS OVERVIEW - The best place to start learning about the badlands. 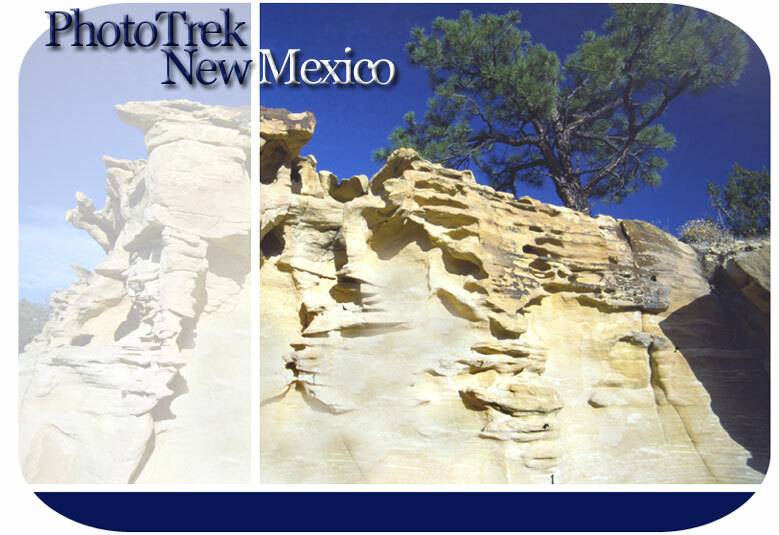 Text based on my January 2007 article in New Mexico Magazine along with a photo tour, location map, and geologic maps. 2 GEOLOGY OF THE BADLANDS - Information about the processes, geohistory, sedimentary rocks, and fossils that have resulted in these amazing natural sculpture exhibits, including maps, diagrams, and photos. 4 PHOTOGRAPHING THE BADLANDS - Photographic techniques, gear, and strategies along with sample images to help you record and celebrate these amazing rock forms and landscapes. 6 BADLANDS GRAND PHOTOGRAPHIC TOUR - A selection of photos from all the individual badlands photo tours, which can be viewed by selecting individual thumbnails or downloading the slide show.